Every hunter has a type of trail that he (or she) prefers. As a hunter, you may prefer stalking your game in the woods, wait for it in the tree stand, or maybe you are an upland hunter and you have to climb steep mountains. In all cases, you will need a pair of boots that must be comfortable and lightweight as well, so you can stay focused on your hunt. Unlike any piece of accessory that you may just put away, the boots always remain on your feet, and that’s why it is a good idea to choose them wisely. If you are about to make a purchase but are not so sure what to choose from the multitude of options on the market, or you just don’t know what you need, these reviews might come in handy. We’ve reviewed different types of boots for various conditions in order to help you decide on the best boots for your next hunt. No matter if you are an upland hunter or a turkey one, we got you covered with a large variety of quality boots to choose from. The last thing you want when out hunting is wet feet. And the Irish Setter team knows that. 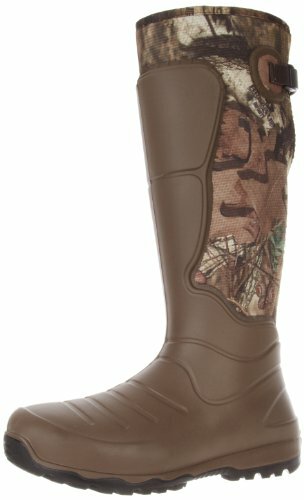 So they designed a high-quality pair of boots that gives you the freedom to wait for the game even in swamps. With 110 year experience and continuous development of new technologies to make their products better, the Vaprtrek Waterproof 8 inch boots can be considered top of the line. Sure you could go for a pair of boots that feel just ok, but we consider you deserve the best pair for your hard earned money. The exterior is made out of a synthetic material that is very durable and future-proof. On the interior, there is a mark saying „scent free”. The company used a technology that helps prevent unwanted odors after long periods of wearing, along with a breathable fabric, so wet feet won’t represent a problem during your hunt. Also, a nice feature is the ArmaTec Toe Protection that helps a lot when you hit something hard, in order for your toes not to suffer from the impact. The closing system uses laces to tighten the boots to your feet. 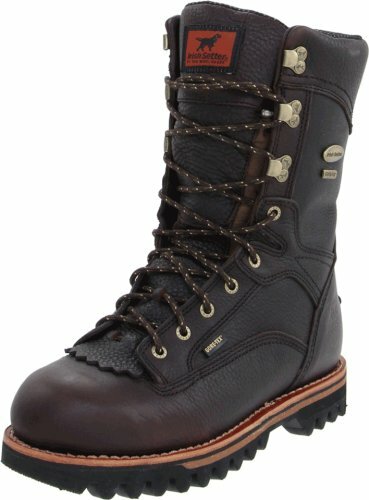 If you prefer synthetic material over leather, the Irish Setter Men’s Vaprtrek could be the boots for you. There is a number of good reasons why we nominated the Lowa Men’s Tibet as the best overall pick. Established in 1923 in Germany, Lowa is one of the best companies in the outdoor boots production. The company uses the highest quality standards possible and most of their boots are manufactured in Germany. That’s to give you an idea of what the company is all about. In a word, quality. Details like how well the boot’s tongue stays centered on your foot make a big difference when on the trail, but things like the long lasting capabilities show just how high the quality standard of the boots you have is. And Lowa scores big on both aspects. The boots are made of nubuck which is a top-grain cattle leather that has been sanded or buffed on the grain side or outside. This provides high wear resistance, and the Vibram sole which is a patented specialized cleat and rubber compound gives perfect traction over rough terrain. The Climate Control lining is made of a waterproof Gore-Tex material which is very good at reducing friction and moving moisture away from the feet. The Gore-Tex material is able to repel liquid water while allowing water vapor to pass through and is designed to be a lightweight, waterproof fabric for all-weather use. A nice feature is the Merrell Air Cushion Midsole which is a patented air chamber that provides shock absorption and stabilizes the foot. Considering that the midsole is in a large measure the center of comfort in the boot, this feature comes in pretty nicely. 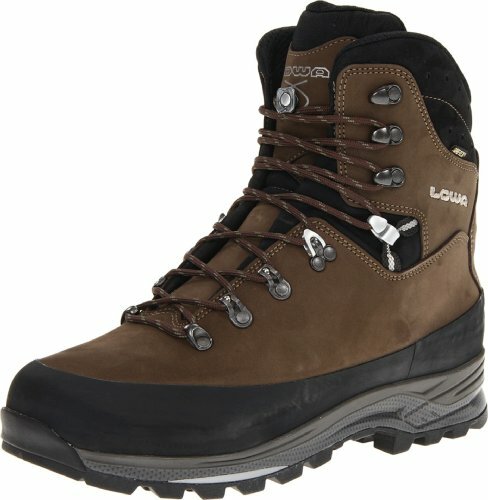 With this pair of boots from Lowa you can be sure that you are wearing a top outdoor footwear piece when it comes to performance, quality, and durability, and surely you won’t be disappointed with the purchase, quite the opposite, like so many owners, you’ll probably ask yourself why you didn’t get them earlier. The Muck boots were born from the necessity of a good quality pair of boots that can be worn every day in all conditions, without costing a fortune. For the price, you get a nice, tall pair of boots with a reinforced heel support panel and shank, vulcanized rubber shell which is durable and abrasion-resistant along with a self-cleaning, slip-resistant outsole. Also, they feature breathable air mesh linings and wrap-up toe bumper for protection. 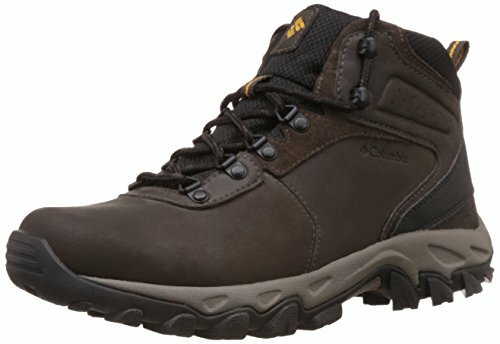 If you are very picky on the temperature and water resistance topic, these boots might be your best fit with their 100% water resistance and a whopping advertized -85F (-65C) temperature resistance. Also, the flexibility is excellent with four-way stretch nylon that minimizes bulk. Do you like the MuckBoots? So do lots of other hunters all across the USA. Irish Setter is currently one of the best companies in the hunting boots industry. They know how to make incredibly comfortable insoles and tough outsoles that can last for years. 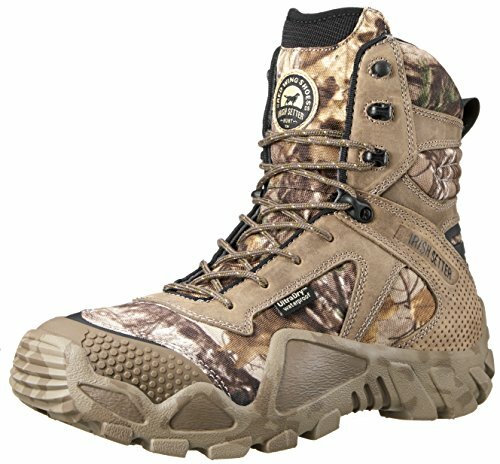 While the Irish Setter 860 Elk Tracker boots are not actually a top of the line model they offer a great value for the money, meaning that you will pay the least amount of money for the best quality. 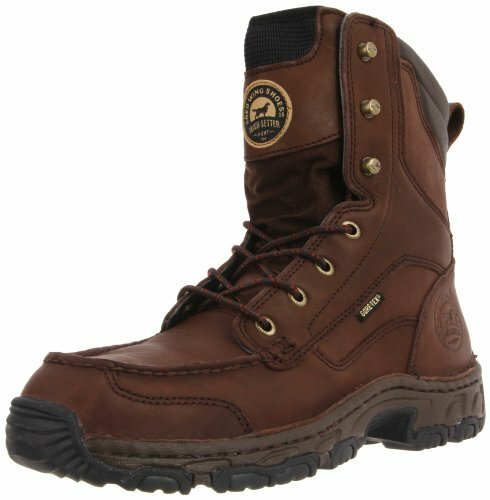 This pair of Irish Setter boots features 1000g Thinsulate Ultra Insulation which is great for cold environments. No matter how cold will it be when out hunting your feet will stay warm and dry. The Gore-Tex lining assures that not a single drop of water will get in the boots. The bottom interior (or insole) is made using a memory foam that actions as a cushion at every step; perfect for long periods of continuous wearing the boots. That is especially helpful for hunters who go after the prey by foot and walk long distances. This is definitely a great pair of boots for the hunting season when it comes to their value for the money, their toughness and the comfort that they offer. Overall one of the best picks on a pair of hunting boots. Before digging into the reasons why these boots are the best option for the money there is something that needs to be said about the manufacturer. Although Kenetrek is a relatively young company, they make hunting boots that have no match. This is a Montana-based company that goes by the motto “For The Trail Less Traveled™ ” which gives us a hint that their USA made quality products are exactly what hunters, hikers and casual travelers are in a constant search of. Since our purpose here is to find the best hunting boot, Kenetrek is the company that deserves our attention and detailed analysis most. They seem to channel their efforts upon creating the most comfortable and practical boots which is exactly the kind of product we all need. These boots present a number of features that caught our attention from the first glance. First of all, it is made out of genuine leather which is the most common material used for hunting boots and for a good reason: it protects the foot from moisture. No matter the climatic conditions of your environment it is almost necessary that your boots are waterproof. Also, this type of material offers a great deal of support and is also very durable so you will not be spending the cash often. This is also why you should consider sealing the leather yearly to increase the durability of your boot. The lightweight K-talon outsoles provide excellent traction and reliability on harsh tracks. We mainly love these outsoles because they don’t catch gravel and small stones that feel so annoying when you walk on plain surfaces. 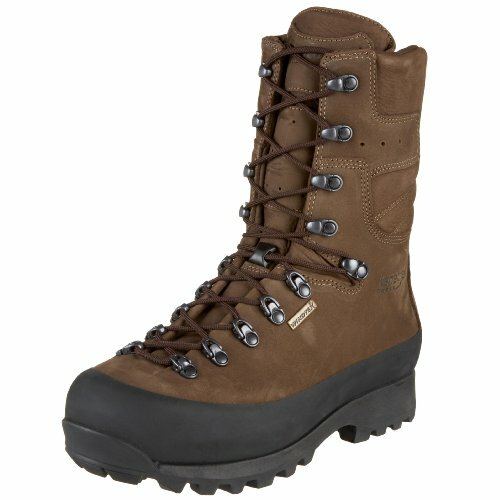 Ultimately we highly recommend the Kenetrek Mountain Extreme boots for every hunter that chooses the harsh trail. Don’t spend your money on cheap copycats, instead, make one purchase that will last for years. 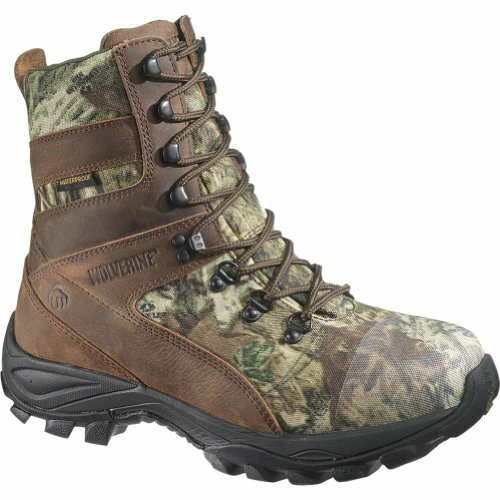 The Bowman hunting boots combine two very requested features: comfort and ruggedness. Made out of rubber with Neoprene lining, these boots will help you acquire peace of mind when trying to focus on the hunt ahead. Similar as the Bogs previously reviewed, the Bowmans have a scent combating biotechnology that fights against unwanted odors. The shaft measures approximately 16 inches from the arch protecting you from most liquids you may encounter. Lightweight yet well insulated, the 6mm lining uses the Neo-Tech technology found in almost all Bogs boots that help the warmth accumulate inside the boot, without making you sweat at the same time. 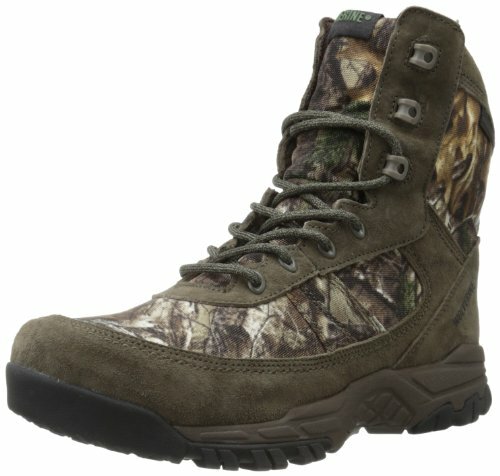 These boots are highly praised by many hunters, and they offer great value for the money. The Rocky Silenthunter is a „low waist” kind of boot at only 6 inches measuring from the sole to the top. They are made from a combination of leather and synthetic materials along with a rugged rubber sole and has a general athletic feel and look, the outsole also making it suitable for a more active type of hunting. The camouflage is a patented Realtree Extra designed by Rocky. And they really make a fuss about their camouflage saying that it is one of the best on the market. All we can say this is something for each to decide. But testing these boots out, we saw no reason to complain. They blend in very well, as there’s no surface on them to catch the eye. The Rocky boots are designed purposely for the bow hunter that needs to draw near the game and be stealthy. The powerful scent control feature stops you from releasing odors the breathable lining prevents unwanted perspiration from building up on your skin. And the 200g insulation is perfect for cold environments. 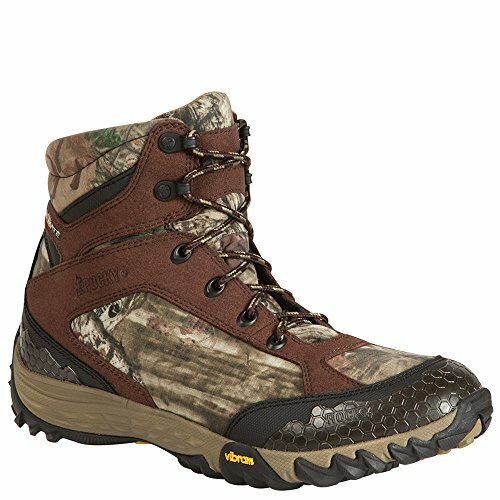 So if you are a bow hunter and you are looking for the best hunting boots out there, give these Rockies a closer look. The good old leather finished boots are never out of style. The Scarpa Kinesis Pro GTX are the expression of high-quality materials put together by top quality workmanship. With a weight of 4 lbs, the Scarpa boots are versatile and tough at the same time. The interior is padded with Gore-Tex material while the exterior is made out of genuine leather. The sole is a patented Vibram AW integral that is flexible and helps to prevent fatigue. Additionally, a shock absorbing material is placed inside the heel. The Scarpa Kinesis Pro GTX Boots are awesome in every aspect. Manufactured 100% in Europe, they offer top quality at a decent price, so they might just be what you are looking for. If you decide to give them a shot, you will love them. 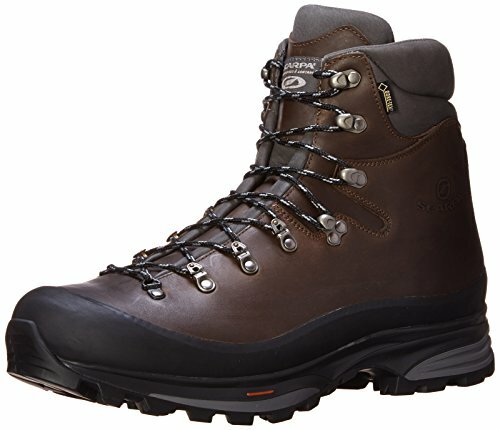 Made entirely of high quality full grain red-brown leather on the exterior, and padded on the inside with Gore-Tex material, these boots are perfect for outdoor use in harsh conditions, helped also by the 200g of Thinsulate. You can wear them in temperatures as low as -20C (-4F) and still come back home with warm and dry feet. Although other boots are easier to swap off and put back on when necessary, these boots don’t offer this feature because of the tight laces. But what’s one man’s drawback, is another man’s plus. The tightness of the boots when chasing game or running is very important because you don’t want to find yourself barefoot in the woods. Rocky did their best to provide a beautifully designed pair of boots with an authentic feel and comfort for the true hunter that doesn’t accept compromises. There is also a black version that is worth checking out. You can weigh up the features and decide if this is the pair of boots that fits your requirements. Also made of premium USA-made leather, the Irish Setter Havoc boots will be a great companion in your next upland hunting. Deer hunters have a relaxed short walk to the tree stand, a few hours of sitting in relative comfort, followed by the shot and there you have it. You’ve put meat on the table. Bird hunters, however, don’t have this luxury. Grouse, pheasants, or any kind of upland birds don’t come in your sight so easy. You have to hustle around, walk for hours and hours with the risk of getting nothing. So that requires footwear that can withstand the abuses that occur when on a typical upland hunt. Luckily the Irish Setter Men’s Havoc handles all of this, featuring a comfortable cushioned polyurethane midsole, and a UltraFlex sole for shock absorption. The feet will stay dry thanks to the waterproof, breathable Gore-Tex membrane, along with a built-in air channel. If you are an upland hunter and these boots are appealing to you, go for them. They’re a sure hit for the money. If we had to put this pair in a category as the first two, the „Best comfort boots” would suit it best. It fits incredibly good on most feet types and the materials inside just offer one of the best experiences ever found on a hunting boot. The Gore-Tex lining is as usual 100% waterproof along with a Primaloft first class insulation that is lightweight, breathable and ultra-warm. While a lace system would in some cases cumber the taking off of the boots, the system used by the Brow Tines is very intelligent and intuitive to help you operate faster and burden-free. 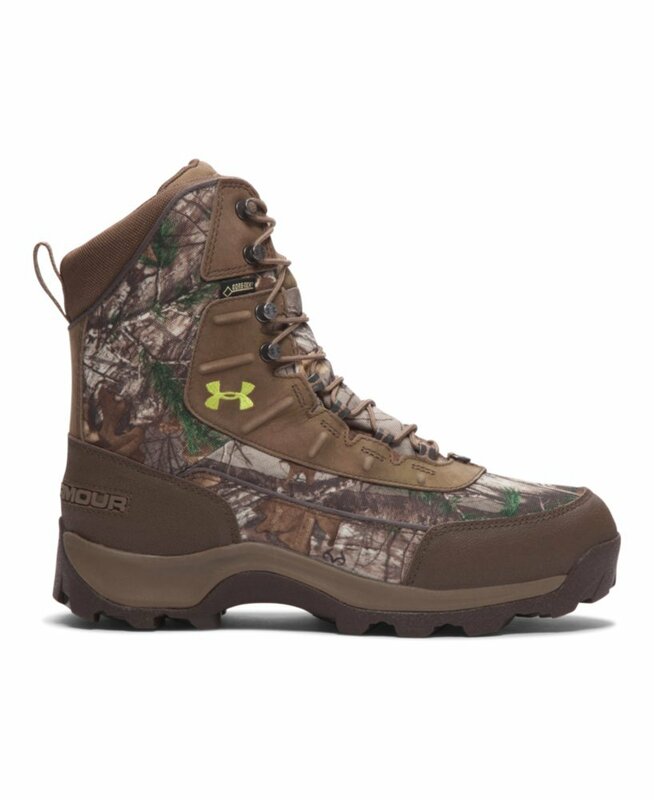 It features a UA scent Control technology that lasts enough not to be discovered by your game, and a good rugged sole. Overall this is a great pair if you are an upland hunter and have to walk a lot, so we encourage you to weigh up the features and decide if these fit you. 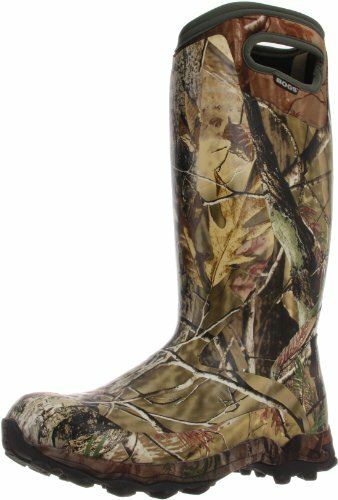 The LaCrosse Men’s Aerohead with Mossy Oak camo pattern are similar to our best buy nominee the LaCrosse Men’s Aerohead Realtree Xtra hunting boots with small differences. This model is rated for temperatures as low as -30F which is huge, considering that at this sort of temperature your body would freeze all over. The sole and outsole are minimalistic helping keep the boots lightweight, and the outsole, in particular, is a non-loading type, which means the boots won’t accumulate high amounts of mud that could prevent you from walking freely. The boots are waterproof with their Armor Weld and seam coating and are abrasion resistant. The shaft measures approximately 18 inches from the arch. Also, as a plus, you get 100% scent free protection, an integrated shank for support and an insulating neoprene core molded with polyurethane and the Mossy Oak camouflage that assures you won’t be spotted by your game. Good construction, well-made materials, and light weight. 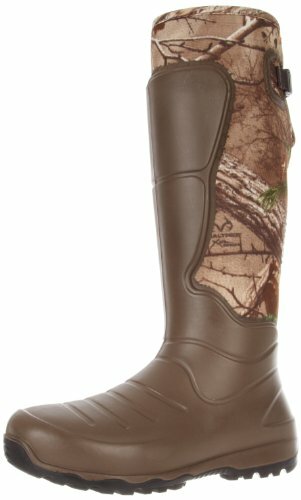 The LaCrosse Aerohead Mossy Oak Infinity boots are perfect for your next hunting trip, they might just be your perfect match. 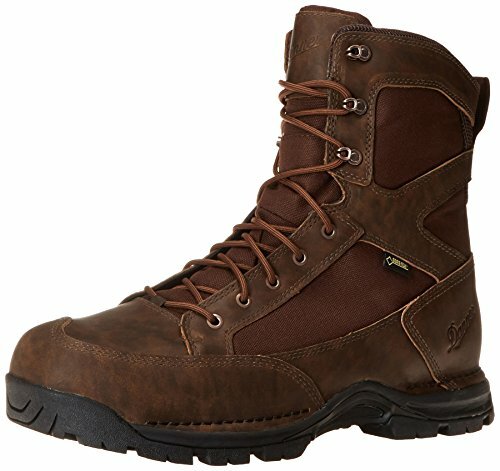 A great high profile boot that is perfect for early season hunting backed by a durable, waterproof full-grain leather upper with rugged and lightweight 1000 Denier fabric, the boots will do the job when looking for game in the woods. The cushioned three density open cell polyurethane Ortholite footbed will give your feet one of the most comfortable feels. Comfort is one big plus from Danner, which is an iconic brand that’s been working hard since 1932 developing footwear technologies in order to deliver great convenience for their customers. The abrasion resistant toe and heel cap will keep your feet protected from any debris in your path, the waterproof Gore-Tex will let your skin breath and the rubber sole will provide a better grip to your steps. At Danner, they are craftsmen that pay attention to details, just like a hunter who doesn’t have the luxury to miss. Well, these boots are a sure hit for your money. Made from quality neoprene, the LaCrosse men’s Aerohead are a high-knee type boots that are very comfortable and are one of the best purchases you can make for the money. Here is why. The fit and finish can be considered first class. The rubber sole helps absorb shocks, although not as much as a Vibram sole for instance, but it’s still enough for most hunters. The lightweight AeroForm technology helps a lot when both running for the hunt or standing in the tree stand because in both situations the boots will feel light and comfortable on your feet. As many owners like to say, when walking with these boots you feel like walking on cushions. The boots are 100% waterproof and scent free, so you won’t be bothered with either issue. The adjustable back gusset and strap makes it very easy to modify the tightness with a simple one hand pull on the strap over the support to tighten, or reverse for a release. Speaking of looks, the boots have a nice Realtree camouflage color, that fits with other equipment and helps you blend into the environment. The LaCrosse company is from the USA, but the boots are made in China. That’s not necessarily a bad thing because the production is closely supervised and the workers follow the quality standards imposed by the company. This way, you get the best quality for the price. 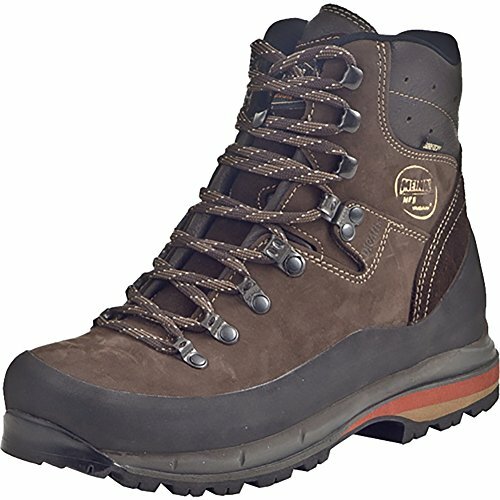 These boots are an awesome pick and you will clearly like the features and feel. You can hop off the fence and make the purchase with confidence. 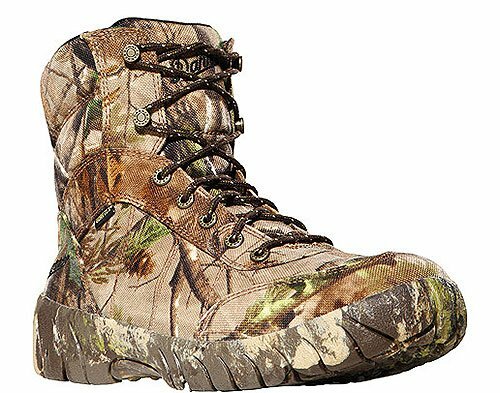 Slightly heavier than other LaCrosse hunting boots, at 18 inches tall and with an astounding Realtree camo pattern, the LaCrosse Men’s Alphaburly deliver comfort and quality for the hunter. Completely redesigned in 2013, the Alphaburlys have a new improved look and feel. Constructed with a more natural rubber compound, the boots are much more flexible and easier to get on and off. The fiberglass shank, the thick cushioning EVA midsole, and the insulating neoprene are just a few features that add up to the overall feel and quality of the boot. 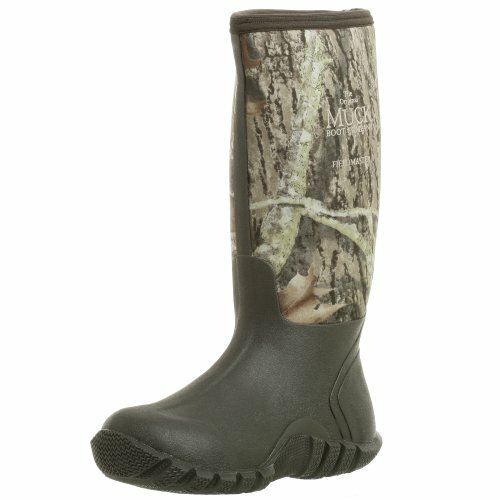 It also features an adjustable rear gusset for a customizable fit, a Realtree Xtra Green camouflage and a minimalistic rubber sole that features a small toe protector on the front. Dominate your ground with these boots, no matter if you prefer the tree stand or the on-foot hunting. They will in all cases get the job done. The Danner Men’s Jackal boots were specifically designed for the active stealthy hunter that needs to travel long distances over rugged terrain. Although perfect for the worst conditions, the boots are not 100% waterproof. If you find yourself fully submerged in water up to your ankle, you will feel that small amounts have poured in. If you find yourself often in swamps or other humid environments, consider the MuckBoots or the LaCrosses. If not, this pair is an overall great competitor. The Danner Phantom outsoles for once are one of the best features on these boots making them perfect for stalking. The durable full grain leather and 1000 Denier nylon upper material is extremely resistant to abrasions, tears, and scuffs and improves breathability, drying very quickly. This is the perfect solution for hunters trying to maintain their cover in drier environments, all of this at a great price. 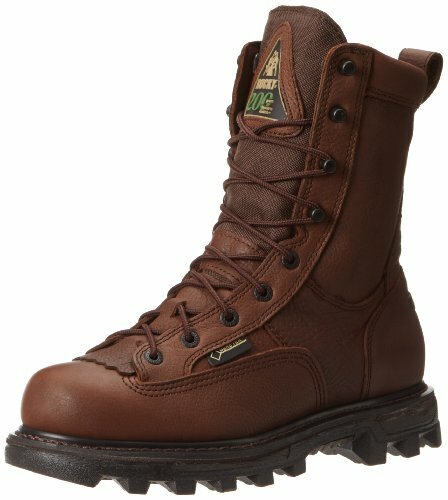 While at a higher price, the Meindl Vacuum Men are great if your expectations of a pair of hunting boots are hard to meet. Made of lightweight, nubuck leather in Germany, the boots scream quality just by looking at them. The patented Vibram sole fits the typical hunter very well due to the cushioned comfort during long periods of walking, and the non-slip grip with small round protrusions, along with a removable foot-conforming cork insole that dissipates moisture continuously throughout the day. The lace-up closure keeps it simple and classic and contributes to the general classy feel of the boots. You do not have to be careful with these boots because they can take quite a beating. They are resistant, lightweight at around 800 grams per boot and they are waterproof thanks to the Gore-Tex lining. These are very tough boots, some people use them as work boots and even for welding work. So if you are ready to spend a little more money for a quality pair of hunting boots, go for it. You’ll wish you did it sooner. These Bogs boots are another pair of rubber boots. Bogs is a well known brand, delivering high quality products for the outdoor life to a growing customer base. People are really happy with the products and we found these boots up to standard. The boots come in a camouflage print that breaks up silhouette, with 100% waterproof capabilities giving you the freedom to sink knee-deep in water or without feeling a drop of water on your skin. Along with a classic rubber sole, it has an Aegis antimicrobial odor protection insole with scent elimination. The moisture-wicking sock liner reduces heat and eliminates odor, very helpful when you’re keeping your feet in the boots for a long period of time. These boots are perfect for any climate. They can stand very low temperatures without cracking. 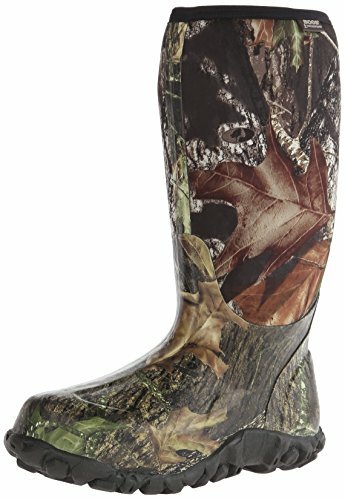 Other features include a durable hand-lasted rubber, a four-way stretch inner bootie, a classic mossy oak patterned overlay and a non-slip, non-marking and self-cleaning outsole. All great features to have when out hunting. It is a solid purchase for the money so consider the Bogs when looking for your next pair of hunting boots. Wolverine used a pretty out-of-the-box combination of materials on the Bobwhites. A 50-50 percent mix of leather and Cordura nylon and it seems that the combination is a winning one. A quality rubber sole protects you from shocks and other hazards and the waterproof and insulating capabilities featuring asymmetric opening and corded laces let you go in any environment as harsh as it may be. And a moisture managing mesh lining is always useful when you walked steep slopes for hours and hours looking for a bird. Your hunter’s feet deserve a better treatment and you can let them have it with the Wolverine Men’s Bobwhite High Hunting boots, all at a great price. There is nothing worse than coming home to the family and friends with an excuse that you „missed that one” or, „it was too fast for me”. You need a pair of boots to help you have fewer moments of apologizing. These Wolverines are a pair that will help a lot in achieving your goals. 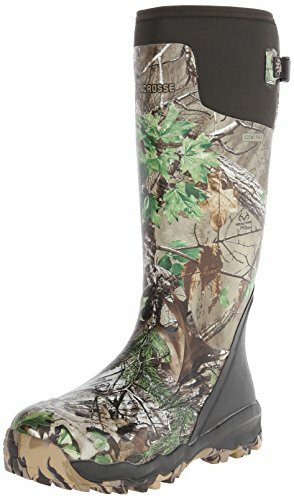 In a nutshell, the boots have fully waterproof capabilities, stealthy Mossy Oak camo print, lightweight, Ortholite insole with NXT odor control, compression-molded EVA midsole for added shock-absorbing comfort, a rubber sole, and overall great feel. There is much to tell about these, but you can simply order yours today and see it for yourself! It’s a great pair of boots made for a great hunter. See what others have to say about them. Columbia proved what it is capable of in other market areas, like outdoors clothing, where some of the best pieces can be found. From Jackets and shirts all the way to caps and trousers, Columbia uses high-end technology in its products and the Newton Ridge Plus Camo Hunting Boots are no exception. Made out of a combination of leather and other textiles, the boots feature Outdry and Omni-Heat technologies for dry and warm feet, a Techlite midsole that encases your heel for extra cushioning and stability and a rubber sole with a toe protector at the front. The non-marking Omni-Grip outsole and camouflage panels offer both exceptional trail lug pattern for great traction in a large variety of hiking conditions and great stealthiness. The Columbia Men’s Newton Ridge Plus Camo are all around great hunting boots that you will be pleased of when you come back home after a long hunting day and realize that your feet are in excellent shape. You can get this pair in all confidence. We think we’ve made a strong point with this broad review. Whether you are an upland hunter, turkey hunter, deer hunter, tree stand hunter, stalking hunter or whatever else, there is a huge market covering every boot niche you may think of. So as in most businesses, competition made room for great innovation giving you the opportunity to choose from a wide variety of hunting boots and find your perfect match. You can choose whatever feels right for you from the models we presented, but whatever your pick, we tried to make sure you can walk confidently that your boots will be the last thing that fails you.